This post is personal, but it is also business. It’s about the shifts taking place in my personal corner of the publishing world, but which will soon enough touch the marketing of many books. For the past couple of years, I have been building a digital marketing business called Logical Marketing with Peter McCarthy and Jess Johns. Pete is a real genius at this stuff who got a unique opportunity to refine his knowledge and hone his skills by running a digital marketing lab for Random House for six years concluding just prior to the Penguin merger. Before that, Pete had set up the web and digital presences and ebook businesses for Penguin. 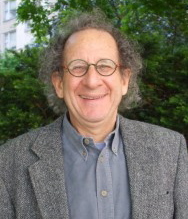 He’s been hands-on with digital change in publishing for over 20 years, since his first job working on the bibliographic database for the New York Review of Books. Jess, who has worked with me since 2010, and I undertook the job of “scaling” Pete’s knowledge for wider industry use. About two years ago, I suggested to Pete that “we need a product, not just services” and he came up with a really great concept for software that would help publishers market their books through online retail channels. The idea was just a little too big for us to forge ahead with on our own, so it sat around for a year while we found a way to execute it. The coming months will be dedicated to OptiQly beta testing, refining the product, and bringing the first version of it to market in the new year. Pete’s knowledge was critical for the software build. But it also turned out that Jess, who has been working with Pete creating and delivering all our Logical Marketing reports and insights (to a gold-plated client list in just two years) and who is both tech- and marketing-savvy, has been a key part of the OptiQly team as well. Meanwhile, we at Logical found ourselves in a conundrum: the slightly different ownership of the two companies led to some real tactical confusion. And it made it difficult to allocate Pete’s and Jess’s time for the best overall result. Logical and OptiQly shared enormous common ground, but they weren’t 100% aligned. We began internal discussions about how to more effectively share resources and reach both company’s goals. There was another factor at play as well. For 25 years, I’ve always had a business with some stability running alongside my more volatile Idea Logical consulting practice. In the 1990s, I ran VISTA’s “Publishing in the 21st Century” program (VISTA was an enterprise software provider for publishers now called Ingenta) and then I ran a sports content business (which became a temporarily lucrative but now defunct website called BaseballLibrary.com) feeding features to the new online sports news site, Sportsline. Then, for a few years, we provided a data analysis service called Supply Chain Tracker to a dozen or so US publishers, converting the report feeds they got from major accounts into actionable information. And for the past seven years, we did the programming for Digital Book World. All of those businesses ran their course for me which, in a way, meant that building up Logical Marketing now could be seen as perfect timing. But, quite aside from the conflicts with OptiQly, it really wasn’t. My primary personal interest today is not about making a living. It is about dedicating my time, knowledge, and connections to the one cause that should interest us all: the effects of climate change. I find myself far more interested in developing the best possible book on coping with the impacts of sea level rise (which I am doing at the moment with an undiscovered sea level rise expert I am about to introduce to publishers) than in helping a publisher market their next big book. So, as of October 1, my corner of the world has undergone a big change. OptiQly has acquired Logical Marketing and Pete McCarthy and Jess Johns have joined OptiQly as full time employees, heads of product and services and of marketing, respectively, working for Evan Schnittman, OptiQly’s CEO. They’ll be in OptiQly’s office where I will occasionally join them and continue to provide what I hope is useful strategic insight and hurdle-jumping advice for our exciting new business, and I’ll still be on the Board. And the services component of OptiQly, which is what Logical Marketing has become, will grow and thrive with the leadership Evan will provide. He’s a much better executive and business builder than I am. And I’ll be back to being mostly on my own working from home, as I did for many years until the early 1990s. My interest and involvement in trade publishing is a permanent condition, so I’ll definitely still be consulting, helping fledgling publishers and tech start-ups with a publishing angle as well as a few mainstay companies that value my knowledge and insight. But my “business development” energy will be devoted to working on climate change. That will include some initiatives I’m not quite ready to talk about yet, but it largely means seeking out experts on various aspects of the subject and helping them put together book projects that will spread the messages that are most critical to humanity’s survival, which, unfortunately, doesn’t seem to be the sure thing it was when I started my working career. 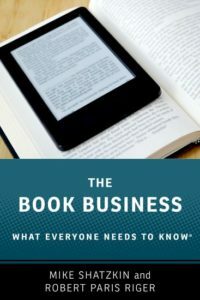 One other project occupying me at the moment is a book I am writing about the book business for Oxford University Press’s “What Everyone Needs to Know” series with a longtime publishing friend and colleague, Robert Riger. We’ve had a wonderful time interviewing executives throughout the industry, always intending to do the lion’s share of the writing in Q4. Now my decks are a bit clearer to do just that.